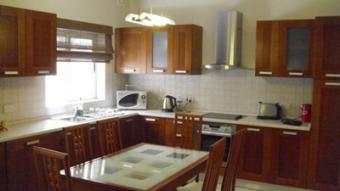 New modern APARTMENT positioned in the center of Sliema. Accommodation comprises a large lounge/dining includes large sofa, large television, modern kitchen, three bedrooms, two bathrooms, washroom, garage is optional plimenting with a lovely back terrace, available for long lets. Property is fully air conditioned.